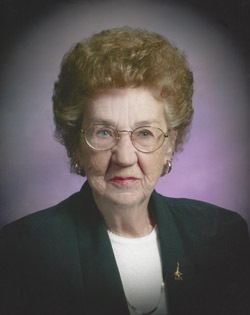 Lois Ann (Kruse) Schwartz, 90, Town of Chase, passed away peacefully with her family at her side Thursday, September 20, 2018. The daughter of Joseph and Gertrude (Huss) Tyrrell was born December 17, 1927, in Beaver and was a graduate of Shiocton High School. On August 7, 1948, she married George Kruse, Jr., in Black Creek and he preceded her in death on June 22, 1965. In 1966, she married Norman Schwartz in Michigan, and he preceded her in death on August 21, 1984. Lois worked for Northern Shoe and Pulaski Canning Factory. She volunteered with Tri-County Rescue and at the voting polls. Lois enjoyed the time she spent providing in-home childcare, and was still receiving Christmas cards from the friends she made in that endeavor. She was a member of St. Maximilian Kolbe Parish in Sobieski. She loved canning, baking, and tending her flower gardens and she had a soft spot in her heart for animals. She also enjoyed camping and especially loved her grandchildren. She always called them on their birthdays and while they were away at college. Survivors include seven children: Lynn (Gene) Czech, Pulaski, Michael A. Kruse, Green Bay, Kathy Henn, Green Bay, Nanette “Netty” Kruse, Gillett, James (Debi Wichman) Kruse, Gillett, Larry Kruse, Chase, and Sherry (fiancé Eric Olson) Ryba, Green Bay; two step-children: Miriam Schyvinck, Sun Prairie and Karen Swendrowski, Milwaukee: 15 grandchildren and five step-grandchildren; 24 great-grandchildren with another great-grandchild on the way in October; two sisters: Germaine Fetterly, Lena, and Barbara Tyrrell, Appleton; and her little dog, Ellie Mae; nieces, nephews, other relatives and friends. 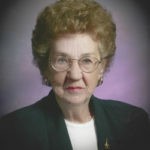 In addition to her husbands, she was preceded in death by her son, George Kruse III, three siblings: JoAnn Tyrrell, Roger Tyrrell, and Doris Urbanek; brothers-in-law: Fred Urbanek and Alvin Fetterly; and her godson, Scott Tyrrell. The Funeral Mass was celebrated at 11:00 a.m. Tuesday, September 25, 2018, at St. Maximilian Kolbe Church, Sobieski, Fr. Antonio De Los Santos presiding. Burial took place in St. Casimir Cemetery, Krakow.